Visitor parking permits may be obtained at the Campus Information Center, the small building on the right after you enter the campus. 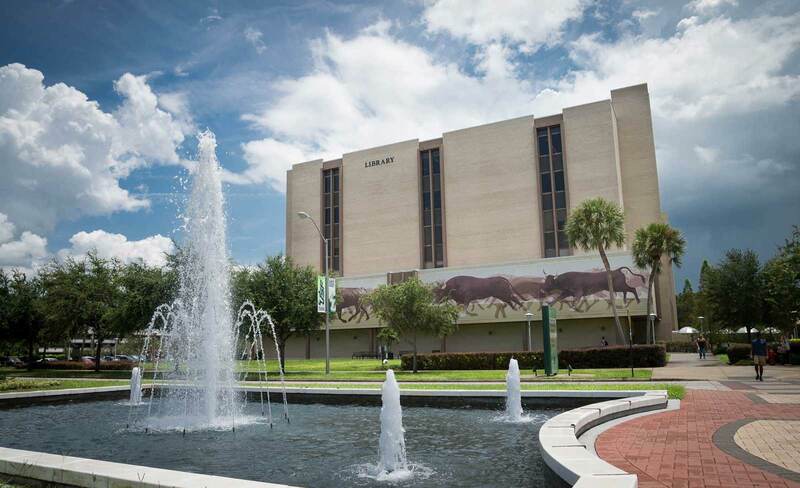 During 24/5 hours of operation, all patrons who enter, or those remaining in the library from 12:00am to 7:30am, Sunday through Thursday, must be currently enrolled students, faculty or staff and they must have a valid USF ID in their possession. Patrons not having a valid USF ID in their possession will not be able to enter or remain in the library during these hours. The main entrance to the University will be on your left. The six-story Tampa Library is the last building on the right, before the road makes a U-turn. The main entrance to the University will be on your right. Leave Airport via Interstate 275 north. Take exit 51, Fowler Avenue, and travel east (turning right at the light) for three miles. The main entrance to the university is on the left (north) side of Fowler Avenue; it will be the second left after 30th St., also known as Bruce B. Downs Blvd. Proceed straight ahead on Collins Blvd. 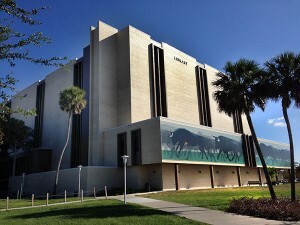 ; the six-story Tampa Library is the last building on the right, before the road makes a U-turn.